Would you like to become a U.S. Citizen? Don’t let fear or misinformation stop you. Attending a Citizenship Workshop with trained volunteers who can help you with the process is a great first step towards that goal! If you are a Legal Permanent Resident and have been so for at least five years or are married to an American citizen and have been a Legal Permanent Resident for three years, you meet the most basic eligibility requirement for citizenship. On June 30th, the Greater Boston Citizenship Initiative (GBCI) is holding a workshop from 11AM to 2PM at VietAID in Dorchester. 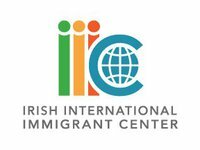 As one of the partnering organizations in the GBCI, the IIIC is participating in the workshop and encouraging potential new citizens to register! A workshop is a fantastic way to apply for US citizenship, particularly if you have questions, are unsure about the process or your eligibility or have simply been putting it off for years. The IIIC offers free in-office consultations about naturalization prior to clinics at which the application and supporting documentation (if needed) are explained. Individuals who take advantage of the expert advice available at the IIIC will arrive at the clinic fully prepared for application processing. Pre-registration for the clinic is strongly encouraged. For information about the citizenship process and to register for the clinic call or email: (617) 542-7654 ext. 26 or tearls@iiicenter.org. The Workshop will take place on Saturday June 30, from 11 am- 2 pm at VietAID, 42 Charles Street Dorchester, MA 02122. The closest T stop is Fields Corner on the Red Line.